Jose Uzcategui will defend his IBF Super middleweight title against Caleb Plant in the PBC on FS1 main event from Microsoft Theater in Los Angeles, on Sunday, Jan. 13. 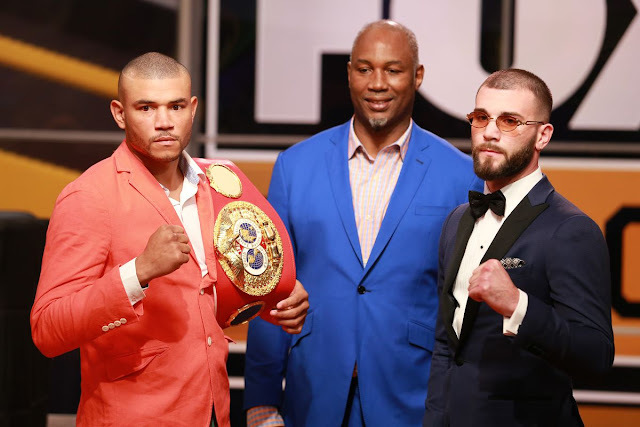 Uzcategui (28-2, 23 KO) last two fights came against Andre Dirrell, whom he initially lost via a controversial DQ loss in March 2017 but came back in rematch to physically dominate and retire Dirrell to win the IBF Interim Super Middleweight Champion. He was later elevated to become the real champion at the weight class after James Degale vacated the title but Caleb Plant (17-0, 10 KO) is looking to change his prospective status into the main deal at the weight class.